Cngrats Sherrie on your GD spot. This is sure one beautiful gift set. 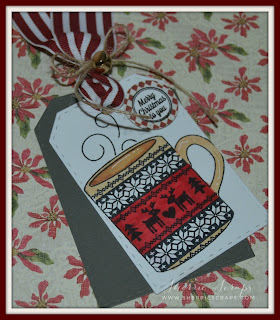 Love the papers and embossing. very creative on the modifying the file. Your friend is sure to love this set. Oh, my word... oh, my word.... OH..... MY...... WORD! These are uhmazing! My new top favorite of yours, Sherrie! These are SO amazing! You really knocked this whole set out of the park. I love, love, love it! WOW!!! Very, very well done. What a wonderful gift for anyone, I LOVE the way that everything matches. Thank you for joining us at Jo's Scrap Shack. Your projects look fabulous! I love the way everything coordinates so perfectly, this would make an amazing gift! The embossing is so pretty! Congrats on the guest designer spot! Congrats on your GD Spot, Sherrie!!! I love your wonderful projects!! Have a great day. Congrats on your GD spot over at JB! WOW!! Absolutely beautiful! Such a wonderful gift set!! You did an AWESOME job my friend on showcasing JB products! OH wow how exciting!!! Congratulations my friend on your GD spot!!! You do amazing work so they are so lucky to have you!!! And this trio is so beautiful! I really love the sweater mug! Love the colors and that poinsettia is so pretty! True story.... every year about 2 weeks before Christmas, my grandpa would buy me a fresh poinsettia plant and bring it to me. It smelled so GOOD and made my home smell so nice... and I absolutely LOVE poinsettias! They are gorgeous and since he passed away in 2009, I have yet had a real poinsettia plant in my home. I have thought to buy one on my own to keep up with his tradition but it is still painful for me so I haven't done so yet. Maybe next year. 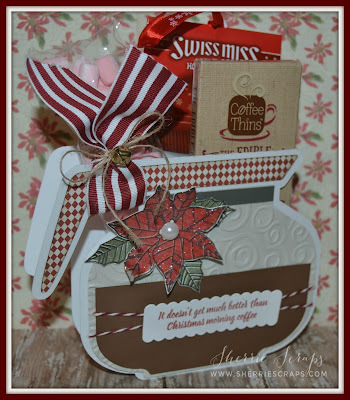 Anyways... your coffee pot treat box is absolutely adorable! Just perfect to put in some treats as you did. Your friend is going to love this. You did a great job Sherrie! Also, thanks so much for linking up to our FFC this week!!! Have a great day hon! Huge congrats on your GD spot my friend!! So deserved!! You always showcase their products perfectly!! What an amazing gift set you've created!! The tags are gorgeous!! 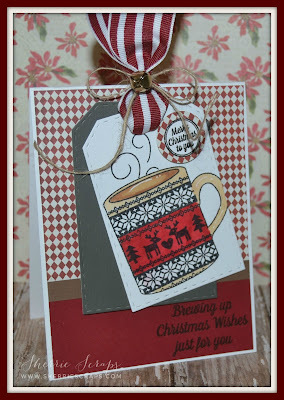 I love the cup image and the red and white striped ribbon!! The papers are beautiful!! The coffee pot is spectacular!! What an amazing set this is!! It will be adored!! Thank you so much for playing along at DL.ART!! Congrats on your GD Spot Sherrie! You did a Fantastic job as always! I LOVE the tags and the Super CUTE 3D Cup Gift Box! 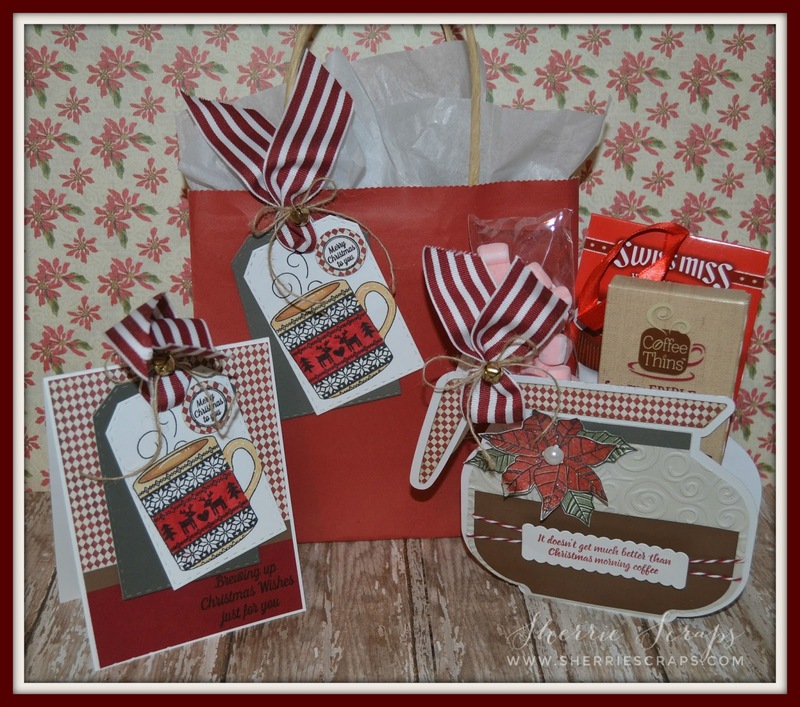 It is the PERFECT Gift set for the holidays! Have a great day! Congratulations on your guest spot Sherrie, they obviously know talent when they see it!! You have showcased their stamps very well with this adorable set. Love the way you did the strips of paper, it fits so well with the design on the coffee mug. Lovely colours and your striped candy cane ribbon is just WOW!! LOVE! I just love the little gifts you make! So cute, congrats on your GD. Congratulations on your guest design spot! These are so creative and cute! Your friend will have a tasty treat for the tummy and the eyes! Oh I Love your Set. That Coffee Pot Is Awesome!!! Congrats to you on being a Guest Designer. Oh wow!! This is just gorgeous!! Love the coffee pot, so creative!! Your Christmas gift set is amazing! I love the fun and festive designs. Thanks for joining us on the Simon Says Stamp Monday Challenge. So cute for a coffee lover! Merry Christmas!